It's never very sunny in Westeros these days, but don't tell that to Rob McElhenney. The co-creator and star of the long-running FX and FXX series It's Always Sunny in Philadelphia made a surprise cameo appearance on last night's season 8 premiere of Game of Thrones. The star confirmed his blink-and-you'll-miss-it appearance as a guy who gets shot in the eye with an arrow — right before Theon's rescue of Yara from Euron's ship — via a screencap posted to his Instagram, cleverly captioned, "Don't blink." (Get it?) We are only linking to the image rather than showing it here, because again, it is of a dude who just got shot in the eye with an arrow. McElhenney's brief, thankless appearance on GoT is something that seems to have been in the works for quite some time. There has always been an odd amount of cross-pollination between the two series; GoT creators and showrunners David Benioff and Dan Weiss wrote the amazing season 9 It's Always Sunny episode "Flowers for Charlie," a number of GoT's writers have popped up in cameo appearances on It's Always Sunny, and longtime It's Always Sunny director Matt Shakman jumped ship to direct a couple episodes of GoT's seventh season. McElhenney and co-star Charlie Day have long been outspoken fans, and during GoT's sixth season, it was heavily rumored that the pair had made uncredited appearances as a couple of soldiers, their faces obscured by masks. Day was quick to dispel the rumor, however, telling The Huffington Post, "I love that people think that that was us. I've probably been trying to keep that mystery alive, but I feel like that takes away from the fine performances given by whoever those two people were in the masks, so I do not want to take credit for their work. That was, in fact, not us. I'm gonna be hard-pressed to stand in a hot mask and tight leather all day." At any rate, McElhenney's confirmation was greeted rapturously by fans of both series (which, again, appears to be a surprisingly large cross-section), and his Instagram post's thread is a thing of wonder to behold. 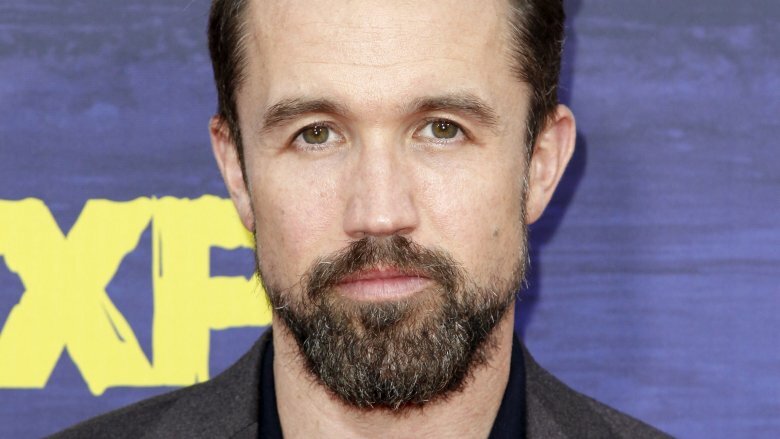 While there were certainly a fair amount of comments along the lines of "I knew that was you," there were also the expected number of replies noting that it took McElhenney all of about five seconds into his appearance to get shot in the face (user drunkenboots: "You play an amazing dying guy"). Many called for a straight-up crossover episode (which we will happily endorse), with even more cracking "The Gang (insert GoT reference)" jokes. But it was user godea777 who outright won the thread with a mere six words: "Dayman, fighter of the Night King." As you may be aware, the season of Game of Thrones which got underway with last night's premiere will be the final one, wrapping up a story so vast and intricate that Martin hasn't even gotten around to putting it all down on paper yet. Each of the remaining five episodes will drop Sunday nights on HBO, with the series finale arriving on May 19.